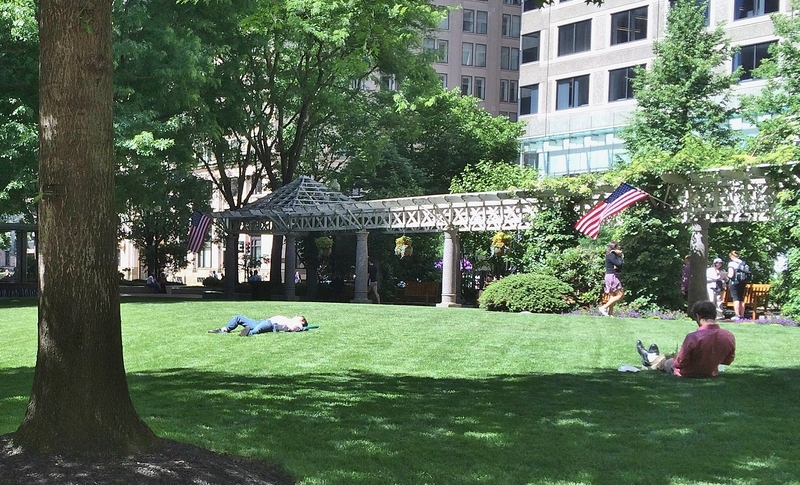 In Boston’s financial district, a lovely 1.7-acre park is nestled between the office buildings, giving workers and others a pleasant respite for enjoying lunch and relaxation. 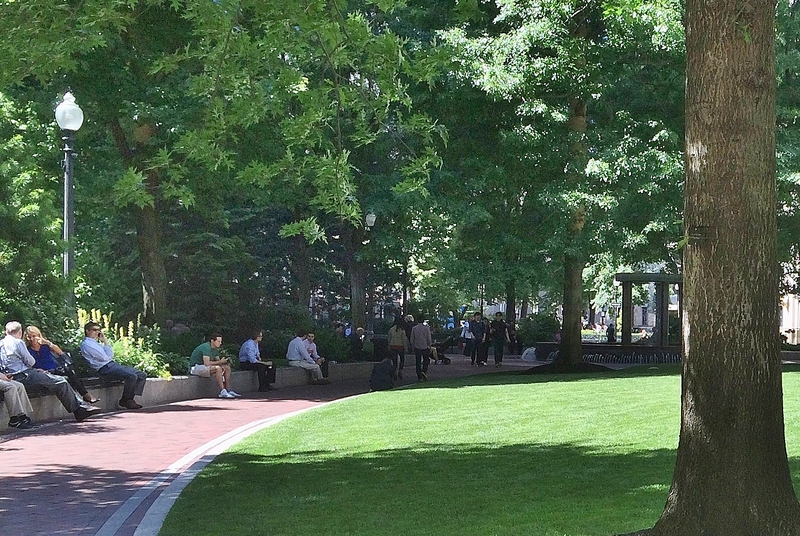 Post Office Square, also known as Norman B. Leventhal Park, features numerous trees and other plantings, an open lawn, a pergola along one boundary, fountains, and a café. 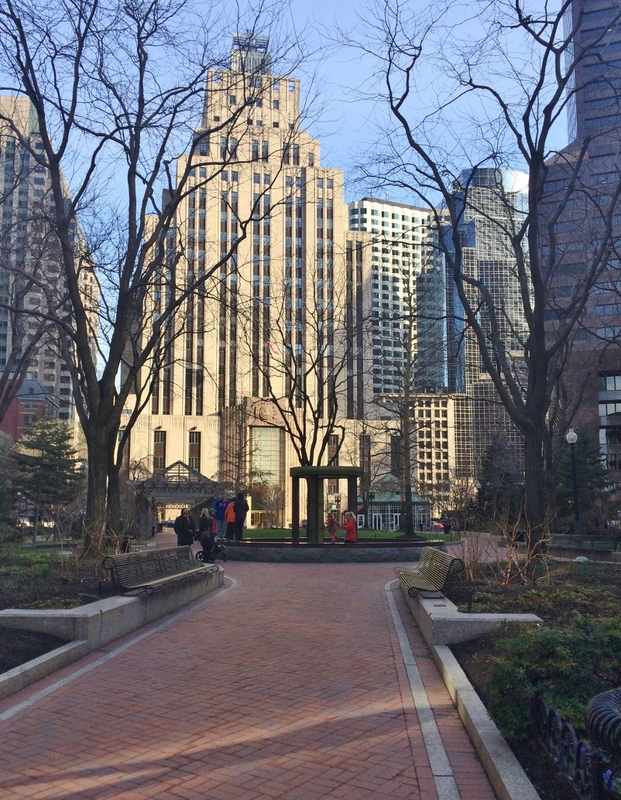 This space is privately-owned and maintained, but open to the public. 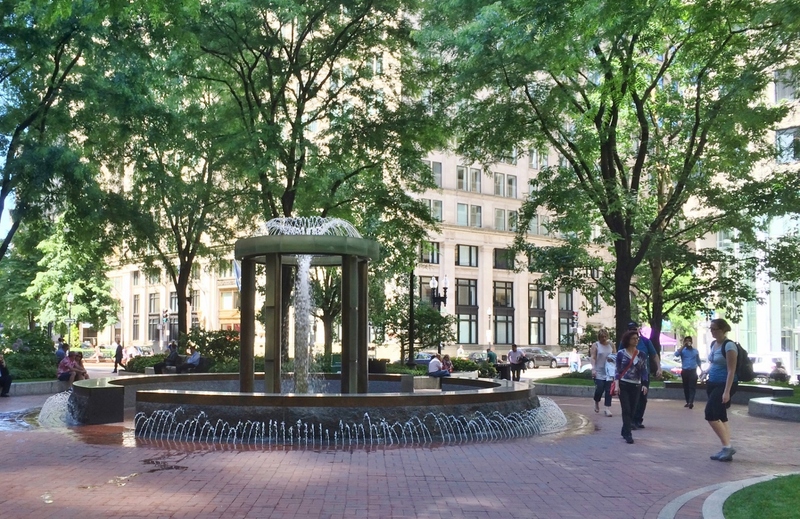 It was completed in 1992 on a site that was formerly occupied by an above-ground garage. Parking is now located below the property. 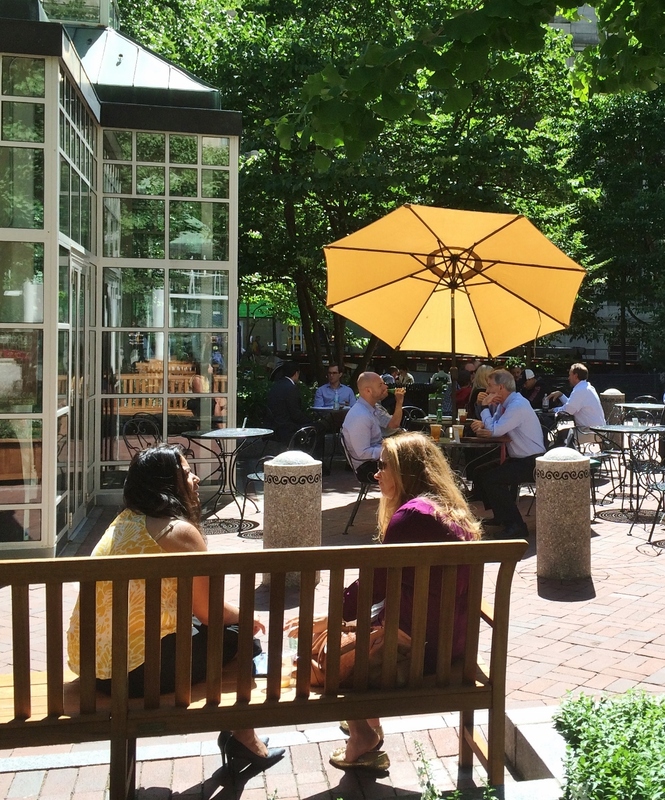 A central lawn, pergola with benches, and other seating areas provide plenty of opportunities for relaxation. The park is flanked by several attractive art deco buildings.